Come learn about the real bugs that inspired Pokémon and how the game of Pokémon and the science of Entomology are alike! Satoshi Tajiri, the creator of Pokémon, loved bugs and collected insects as a child. 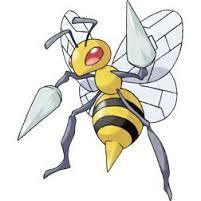 His love of insects can be seen throughout Pokémon and its many parallels to the real science of Entomology. Contact Beetlelady to sign up for this class today.